At Coldani Olive Ranch we are literally a “Family Business”. Our immediate family along with our spouses and a few little ones running around are what encompasses our family company; handling every aspect from tree to bottle. Growing the olives, processing them into oil, bottling, packaging design, marketing, sales and shipping are just a few of the tasks we split up as a family. When we say we know each and every bottle inside and out, we mean it, and we feel the passion we have to produce a healthy quality extra virgin olive oil resonates in our finished product. Our family has been farming in the Lodi-Delta region of California for over 75 years across four generations. The majority of our family and sales team are California Polytechnic, San Luis Obispo graduates. The idea to farm olives derived from a CalPoly senior project which originally started out as a vineyard design but quickly became olive groves after the discovery of how well they would grow in Lodi’s fertile soils which have produced world-class wines for decades. When you mention California to some people they think of Hollywood, surfing and beaches. When you mention California to our family we think of farming, great weather, and some of the most fertile soils in the country. We believe it is important to keep it this way and this is reflected in our farming techniques. Sustainable and organic farm practices help us get the most out of the ground and keep an already healthy product even healthier. Processing water is recycled, and irrigation water is applied through drip hoses to be as efficient as possible. Tree trimmings are mulched and integrated back into our soils between the rows. The leftover ground up olive pits and solids are trucked off and fed to local dairy cows as a high source of nutrients. 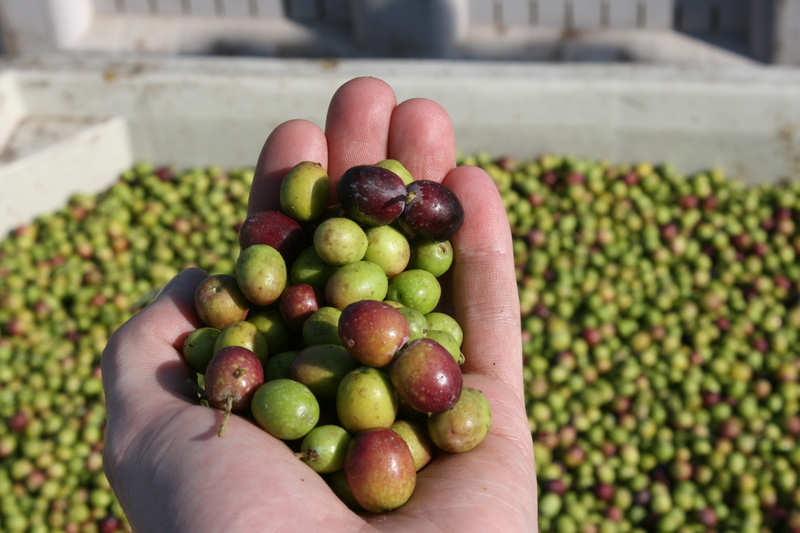 At Coldani Olive Ranch we are constantly looking at what we can change to be more sustainable so in a sense. . .green farming, green olives, and an awesome golden-green oil is what you are left with! You might still think of movie stars and hollywood when you hear California but hopefully you will also think of California Olive Oil, Extra Virgin Olive Oil, and Calivirgin!